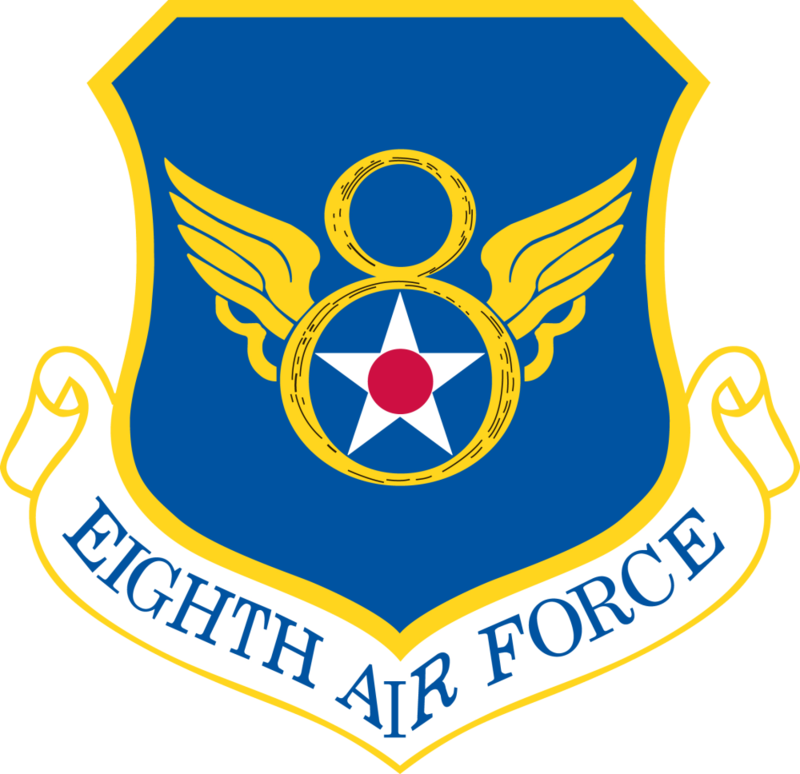 The Eighth Air Force, or "Mighty Eighth," has served with outstanding gallantry from its founding in 1942 to modern times. In 1942, the VIII Bomber Command was activated in Savannah, Georgia, and quickly began transporting men and material, such as B-17 Flying Fortress Bombers and B-24 Liberator Bombers, to England for the ongoing strategic bombing offensive. In January 1944, VIII Bomber Command was re-designated the Eighth Air Force, a name that has stuck to this day. Then, in February 1944, the Eighth Air Force began "Big Week," which was a week of thousand bomber raids that targeted German aircraft production across Northern Europe. "Big Week" significantly contributed to the destruction of the Luftwaffe. The Eighth Air Force continued with its mission of strategic bombing for the rest of World War II, using thousand bomber raids and hundreds of fighter escorts to destroy targets in Berlin, German occupied France, and oil targets in Czechoslovakia. Despite its many successes, the Eighth Air Force lost many men at the hands of German flak and fighter defenses, suffering half of the total US Army Air Force casualties in World War II. In the 1950's, as the nuclear arms race began, the Eighth Air Force and its heavy bombers became a part of Strategic Air Command, and were a major part of the strategic bombing campaigns in Korea and in providing nuclear deterrence against the Soviet Union. Today, the Eighth Air Force is the central part of America's heavy bomber force. It currently flies the B-52 Stratofortress Bomber, the B-1B Lancer Bomber, and the stealthy B-2 Spirit Bomber.